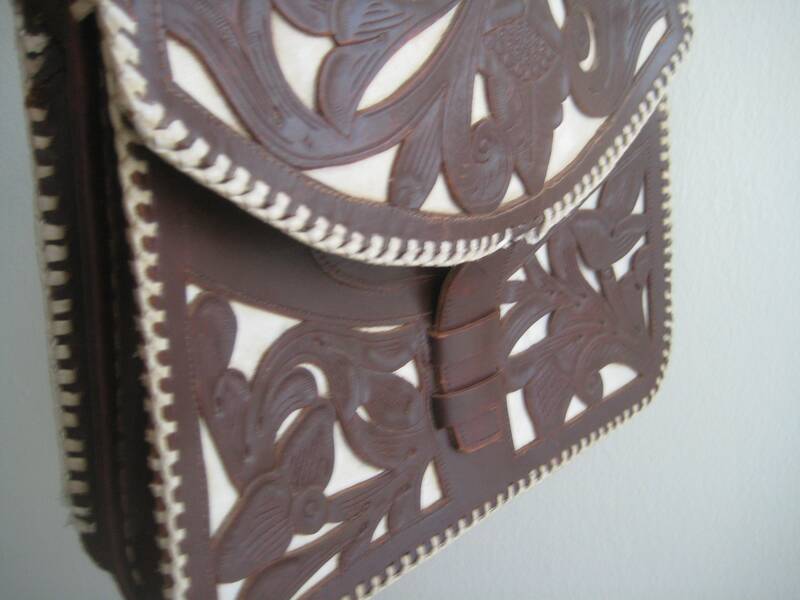 A really sharp hand tooled handbag with braided braided leather strap. Wonderfully crafted with the right amount of wearing in. Both classic and bohemian at the same time! Lots of great features including an outside patch pocket on the back side, closed outside pocket under the flap, split interior storage with one credit card patch. 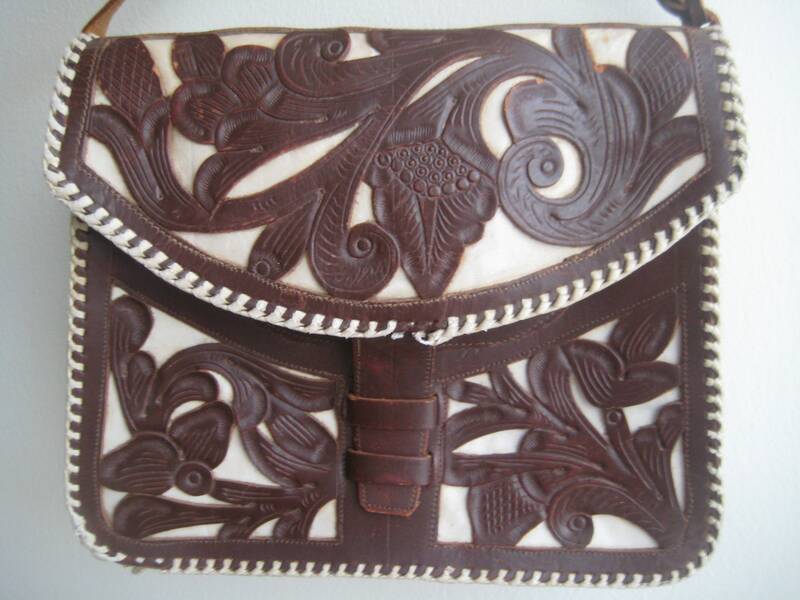 Brown leather tooling design with white leather background. 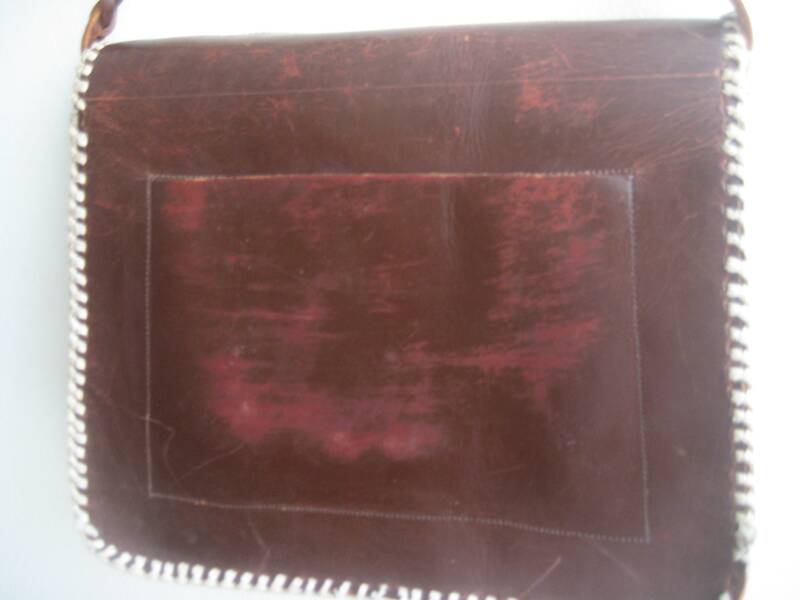 There is some fraying of the leather braiding o the bottom left corner as shown and along the front of the flap. 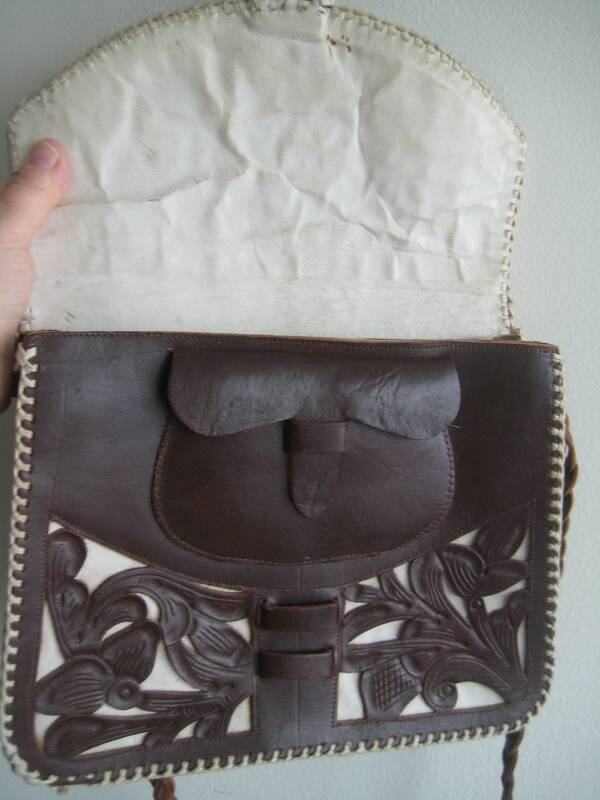 Think it adds to the character and doesn't compromise the bag's integrity but could be replaced if interested. 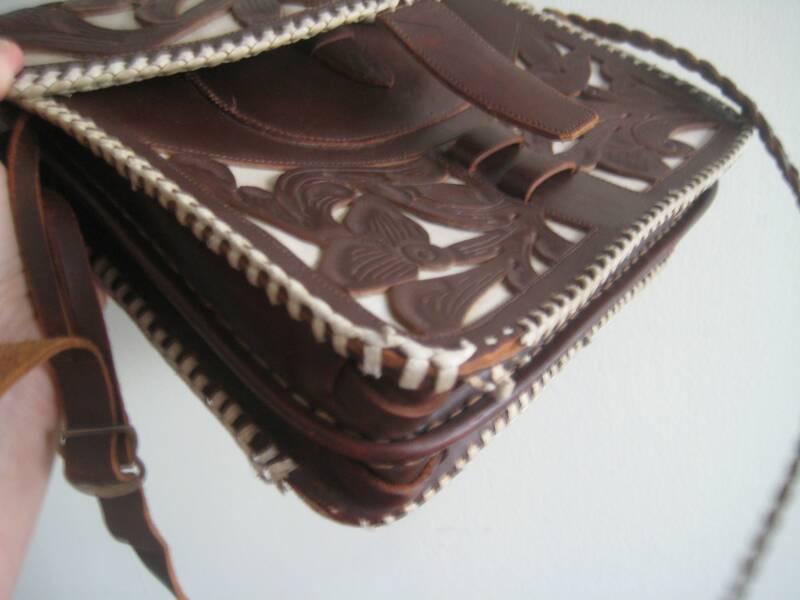 Braided strap measures 17 inches with a buckle adjustment. 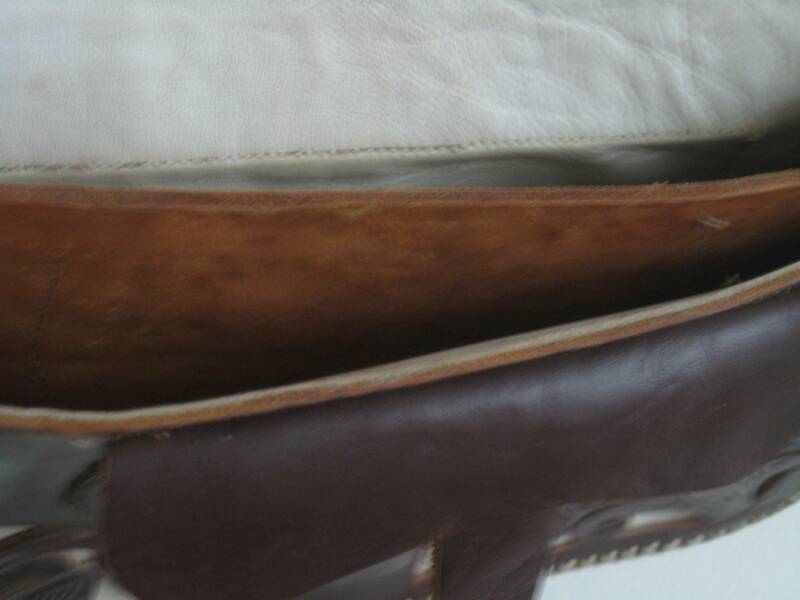 The white leather lining on the inside flap is wrinkled. 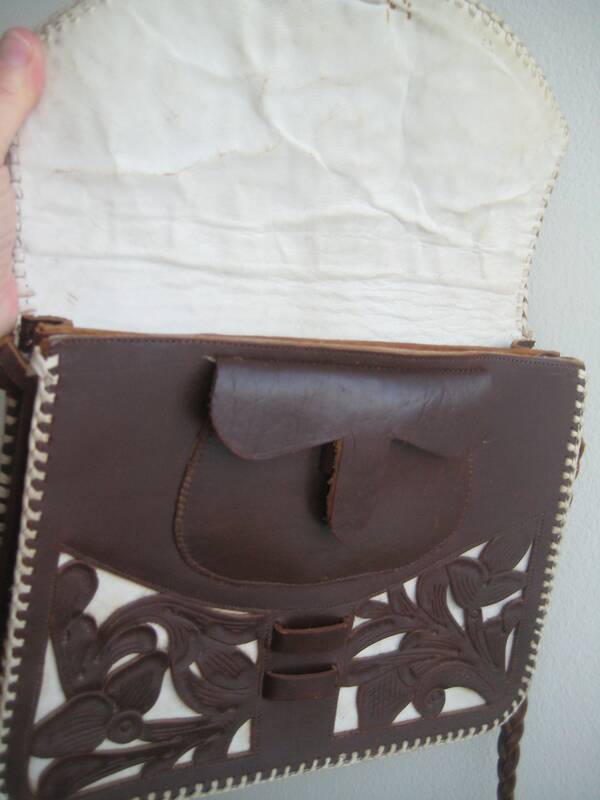 Such a striking vintage bag. Dimensions: 10.5 inches long x 9 inches tall x 3 inches wide on the bottom.